I had the keen sense to reach out to Jodie with Barefoot Beach Bride wedding planning services in Ocean City Md, before making my move to Maryland. It turned out to be an excellent connection and not long after meeting with her, I got my first wedding in Fenwick De, only 9 blocks from my condo in Ocean City Md. I wasn't sure what to expect, only having done full or half day weddings in the past, but this one hour ceremony on the beach was the perfect combination of elegance and intimacy. 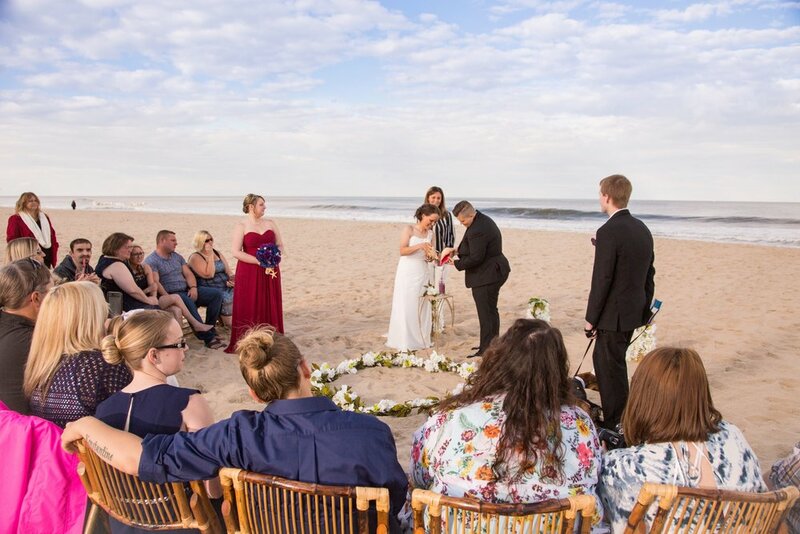 Beautiful wedding ceremony on the beach in Fenwick Island De, just north of Ocean City Md and south of Dover De. 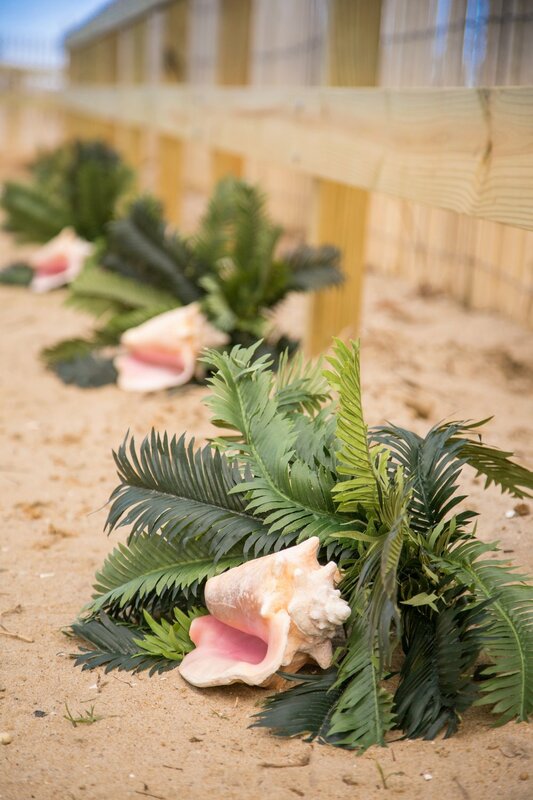 Simple yet elegant shells and plants line the path to the wedding site on the beach in Fenwick Island De. The wedding was so sweet and intimate, only about ten guests and the atmosphere was relaxed and blissfully light. Jodie officiated with words of love and life long happiness and only the sounds of the waves crashing in the background and the occasional call of a seagull were heard. The brides chose to do a sand unity by combining sands of different colors into one jar to represent their commitment to each other and their new marriage. Katlynn places the ring on Shawna's finger. After they kissed for the first time as bride and bride, they shared their first dance on the sand in front of everyone they loved and cared about most. The newly married couple shares their first dance on the sand at the beach. The way they looked into each other's eyes as they danced and repeated their vows, you could just see the incredible amount of love they shared. Formal and fun wedding portraits immediately followed the beach ceremony. Group photos after the beach wedding reception. Even their adorable tuxedo clad ring bearer dogs took part in the fun! The bride poses for photos after the wedding on the beach near Ocean City Md. As the sun set, the couple shared one more kiss on the sandy beach in Delaware.